Starred ratings and IMAGINARY GIRLS. Nothing proved to me how subjective this business is until I read and loved IMAGINARY GIRLS by Nova Ren Suma and then read the reviews on Amazon and Goodreads. I mean I loved this book. Gorgeous prose and a voice that pulled me through the book. A combination of creepy, paranormal, and mystery. And no one denies any of that in the reviews. The biggest complaint is that the magic or paranormal aspect in the book was never explained. The term plot holes was used. Some said by the end they realized there was no point to the story. Harsh? Right? I would argue against all those points! Please don’t let that deter you from reading. I think the story was misunderstood. And it helped that before reading, I knew some things wouldn’t be explained. I was prepared. As I see it, this story was a tall tale. A myth. A metaphor for the love of two sisters who have a crappy life. The older sister Ruby seems to have a magical hold on the town and on her sister, Chloe. But when you understand that these two girls are half-sisters whose dads aren’t in their lives and their mom is a drunk? They basically raised themselves. It’s a bit easier to understand their eccentric behavior. In a tall tale the unexplained happens all due to the power of an emotion. It’s not meant to be explained. That would detract from the magic. Ruby comes to the conclusion that her sister is able to bend the rules of physics because of their bond, their love for each other. And for the magic to be explained and there to be a believable explanation for what happens with the dead body and why the whole town bends to Ruby’s desires would detract from the whole point of the story. You can disagree. But don’t the let the reviews deter you from this delicious book. There were plenty of five star ratings too. Honestly? It’s this kind of writing and story that separates the traditional published and the self-published. For me. Do low-starred reviews deter your from buying a book? Do you ever find a discrepancy based on subjectivity? ← Did the Mayan 2012 apocalypse refer to traditional publishing? Or not? 34 Responses to Starred ratings and IMAGINARY GIRLS. So interesting, Paula. You hit the word on the head, too–subjective. If there’s one thing I’ve learned about this business is that. Everyone has an opinion, likes and dislikes, and preferences. I’ve seen this beautiful cover but haven’t read any reviews. 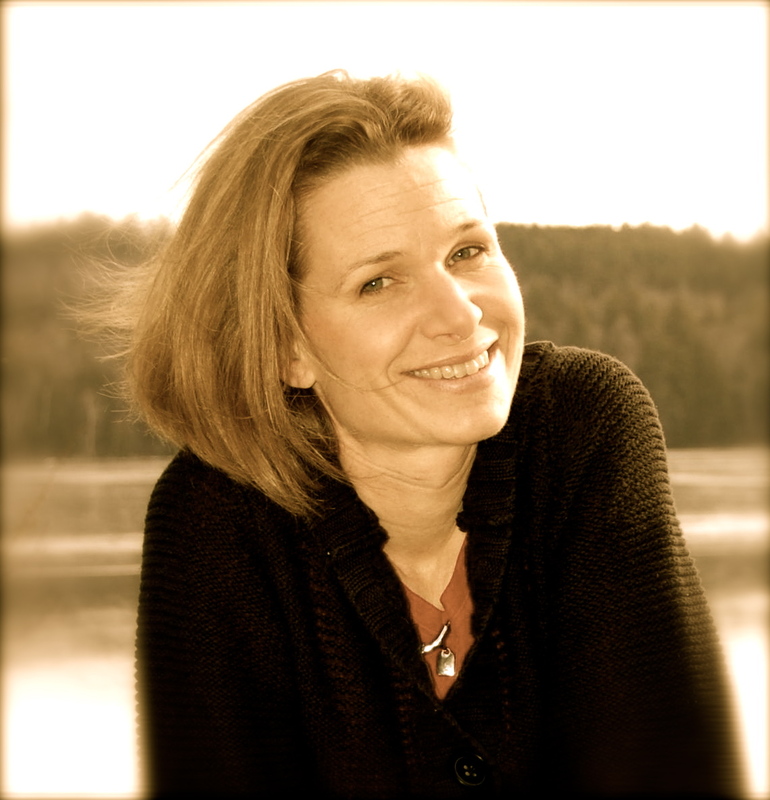 I love magic in contemporary fiction–I’ll have to pick it up! Great point about review, Laura! Somethings one person loves, another person hates. Good to keep in mind. Yeah one of the points of magic realism is that it doesn’t NEED to be explained! The writing in this book knocked my socks off and I’ll leave it there. I agree that it should be read!! I’m glad you liked it, but paranormal, magical type books aren’t my thing. But it’s always wonderful hear varying perspectives on a book. This is certainly a subjective field! I never look at reviews before reading – If I’m hesitant to dish out money for a book I’m not sure of, I get it from the library. but I find that when it comes to movies, sometimes the 2-starred movies are my absolute favorite – and I can’t believe they’d be starred so low. I give books the same chance to wow me. Art is so subjective! I do pay attention to stars. And subjectivity is viral and rampant in this industry. Someone told me to read this book, said they thought I’d like it. Good to know you did. Anyway, 3 things: 1) totally agree on the subjectivity part, 2) that cover is flat gorgeous, and 3) I wonder if there wasn’t a disconnect between the cover/blurb and the story. Sometimes, when I see a negative reaction like that, it’s like the readers were enticed by the expectation of one kind of story, but they story ended up being another sort entirely. That broken reader expectation could explain the reactions (although one would hope that the story itself would be redeeming). If you don’t normally like paranormal you might not love this read. But the writing is so gorgeous and the characters so well developed I fell in love. The author made it look so easy. 🙂 I skim reviews to see what people thought. Sometimes it has stopped me from buying a book; other times, the 3 star reviews (b/c they are completely honest) has convinced my to buy a book! 3 stars aren’t all bad. I rarely pay attention to Amazon reviews. Many of them are full of crap. Thanks for your take on this book. I’ve heard mixed reviews of it since it came out, but nothing has persuaded me one way or the other yet on it. Haven’t we all learned that already in our own writing? I’ve read books that others didn’t get, and I thought it was obvious. *shrugs* Is there a way to better prepare the readers, so their expectations aren’t disappointed? With a book coming out in January, Goodreads has become an enticing and scary place. I know ugly reviews will ultimately come (because everyone seems to get a few — not all books are for all people), but it’s hard to stay away! The more I read, write, and live in this book world, the more I realize taste varies. And that’s okay. While there’s never a place for hateful reviews, I have to remember people are not going to read the same book in the same way. I loved this book too Laura. I thought that voice was mesmerizing. Some readers thought that book was too slow but I disagree. I went with the flow on this book. But then again, I sort of knew what I would be getting into. It’s not the kind of book that will explain things — I personally love it that the readers can come away with their conclusion. But then again, I love books like this — a combo of good writing, creepiness, and a level of mystery (that may or may not be explained). I”m sure Goodreads and Amazon reviews is a scary place for authors. Very few books get nothing but 4 and 5 star reviews. It must be extremely hard when a reader just doesn’t get your vision for a book. I can’t even imagine reading them. It must be hard not to respond and explain. But as with crits, I’m sure the best thing is to keep quiet. Not all books are for everyone. I absolutely love these kinds of books. Now I don’t like endings that don’t explain the mystery when there doesn’t seem to be a reason for not explaining but then again, maybe I just misunderstood those books! I’ve heard it said many times that if people react to you book very passionately either in love or hate, then you’ve done your job well. What some will love, others will definitely hate. The death knell is lukewarm response because no one really cares. I usually like have a reason for any paranormal or mythical powers in a book, but in this case, I didn’t need it. It was a much more mythical/tall tale type story like you said. I admit I kind of didn’t like Ruby, but I think that was part of her persona–she was frightening, a little, you know? If a book sounds interesting, I usually give it a shot no matter what the reviews say. Imaginary Girls sounds so fascinating; I’m excited to read it. Yes! I think we’d rather have strong reactions in both ways – get people talking. For example, the last book in the Hunger Games series. I didn’t like the way it ended but probably b/c I had such strong feeling for Katniss. Everything is subjective. That’s what’s crazy about this business, well, with any art related business. I don’t follow what the reviews say. I read them, but if I want to read it, I will and make my own judgement. I will be adding this to my TBR list. I read the less than stellar reviews, but still for some reason wanted to read it. Now I know why! I try not to read reviews until after I’ve read the book. If I do see a negative review before reading, it might make me feel disappointed, but I’ll read the book anyway (and often my opinions are very different from others!). If I’m excited enough to read the book, reviews won’t keep me from reading it. I like making up my own mind about books (and other things that are reviewed) and the only way to do that is give it a chance yourself! And the cover! Wow! It’s to die for. This has happened to me often. I will love, love, love a book only to see it receive less than good reviews. It’s weird. And, yes, definitely subjective. I love this post on many levels. Opinions are so varied. I don’t even look at ratings. I don’t even think they’re important. How lame is that? I mean, don’t get me wrong, I’m thrilled when someone leaves a rating for my book, but I don’t care if it’s good or bad. ALL ratings (and stars) create a discussion, and that’s what you need to get the word out about your book. I do let negative reviews influence my own reading choices. However, I’ve also read books because of those negative reviews. So for me, it’s the question of whether the complaints are things I’d potentially really dislike or not. I would be more swayed by the opinion of someone I respect than by random reviewers. I mean look at the whole controversy on Goodreads where people are giving one and two star reviews before the ARC is even available! WTH? I’ve almost picked up this book about ten times. Now I will. I’ve don’t let a review sway me since they are so subjective. I learned my lesson years ago when a bad review from a well thought of reviewer nearly made me avoid BACK TO THE FUTURE. I try not to read reviews until after I read the book. But if I really love a book, or really am shocked that the book is not at all what I expected to see, I will go and see what others are saying about it. Sometimes I do it to share in the feeling of awesome. Sometimes, if I really didn’t think it was as great as all the buzz made it out to be, I find myself reading reviews to see if others felt as I did or not. Interesting. I rarely read reviews of a book before I read it. I’m afraid it will affect my objectivity, so I usually wait until after if I read reviews at all. 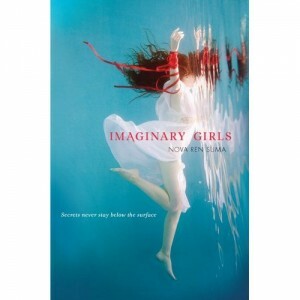 The cover and title tell me Imaginery Girls will be a mystical read! I usually read reviews, if I read them at all, after I’ve read a book. Imaginary Girls wasn’t for me at all. Yeah, this business is SOOOO subjective. I read based on a combination of great hook and feedback from others… which can include NEGATIVE feedback about a book. I love that books can cause entirely different reactions among people. Generally the more emotional people get about a book (both good and bad), generally the more I’m tempted!